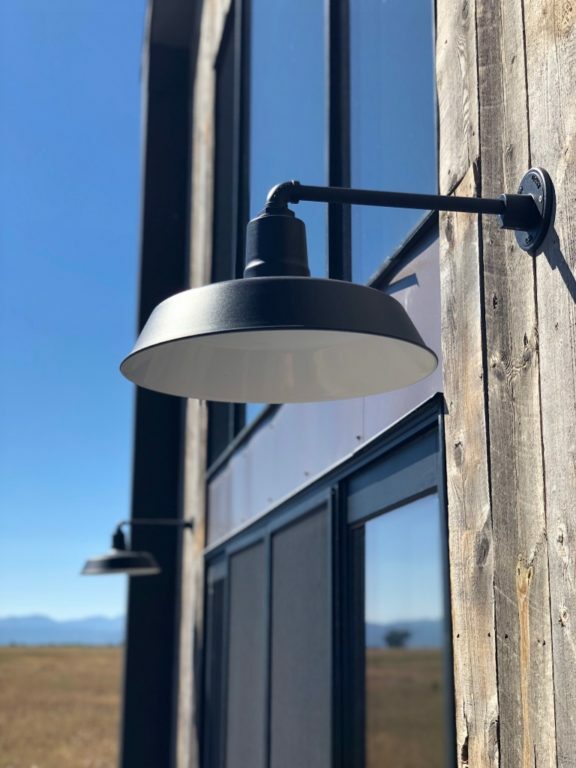 When choosing a gooseneck barn light, one of the most important decisions is not just picking the best shade style for the space, but finding an appropriate gooseneck arm. 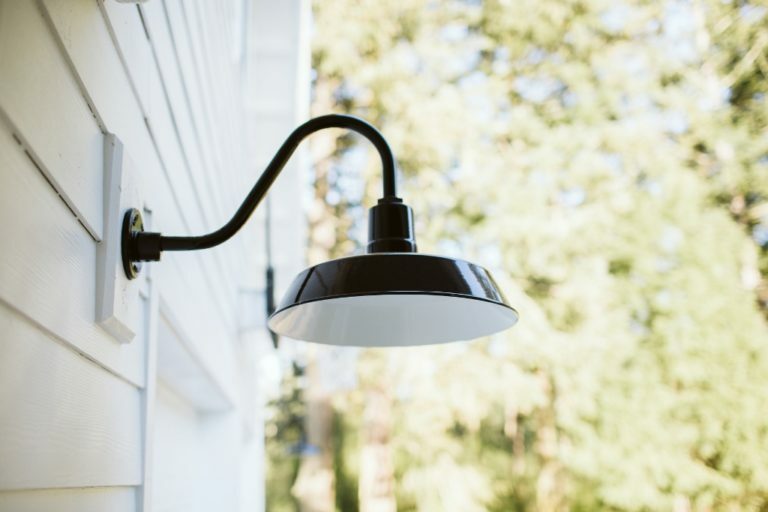 The gooseneck light mounting — the arm — is a vital part of both the form and function of the fixture. 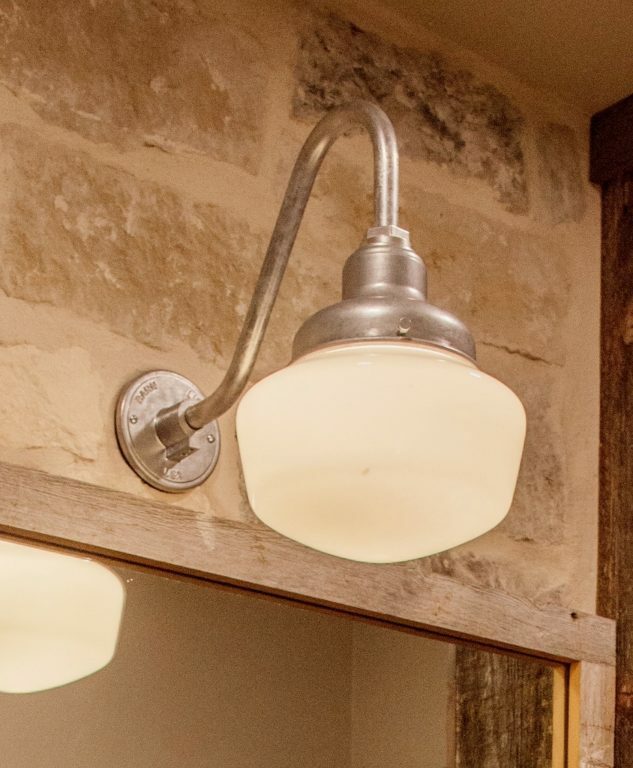 At Barn Light Electric, we craft 30 different arm styles so you can find the very best size and shape for your new gooseneck light. There are many things to consider when choosing a gooseneck arm starting with the facade where you plan to install. Do you have a particular obstruction to work around? A poorly placed junction box? An overhang to consider? You should also consider how far away from the mounting surface you wish the shade to hang. Do you want the illumination to be close to the building or further out such as over a walkway? Our handcrafted gooseneck arms come in a variety of sizes and shapes from straight arms to those with a slight angle to others with deep curvatures that take a light up and out and back down again. One of our most popular styles is the G15 arm shown above on a 16″ Ashland Gooseneck Light. 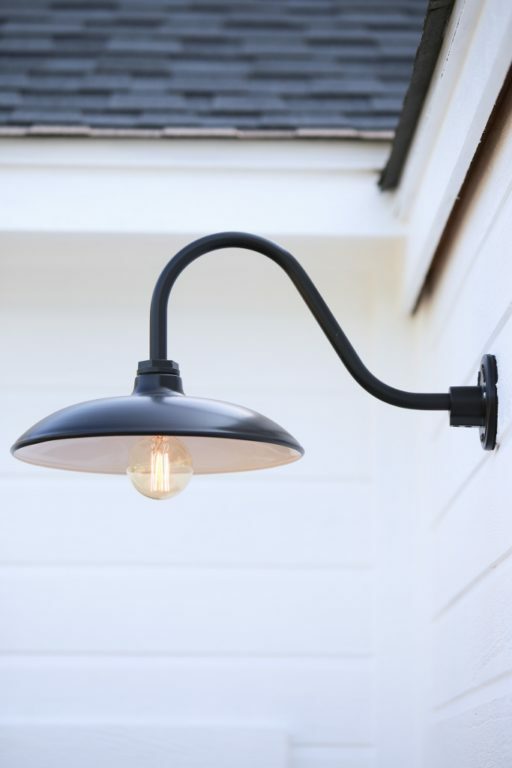 This G26 gooseneck arm, shown on the Academia Schoolhouse Gooseneck Light, is another popular style. 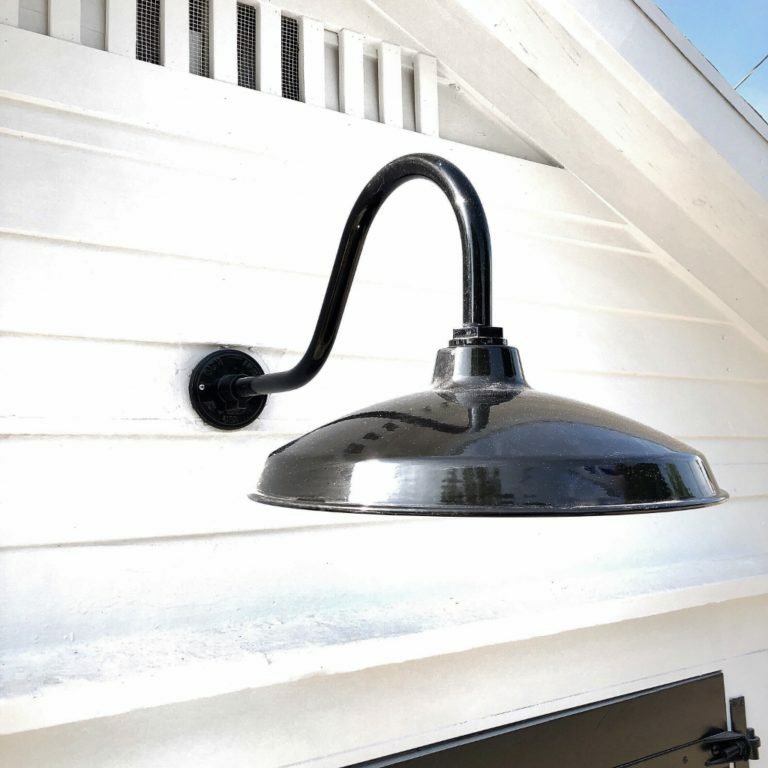 This Goodrich® Marathon Porcelain Gooseneck Light has been customized with a 16″ shade, Black finish, and G22 gooseneck arm which provides 22″ of projection from the garage wall. Being able to customize every aspect of a light, from the shade size to the finish color to the gooseneck arm style is attractive to many. 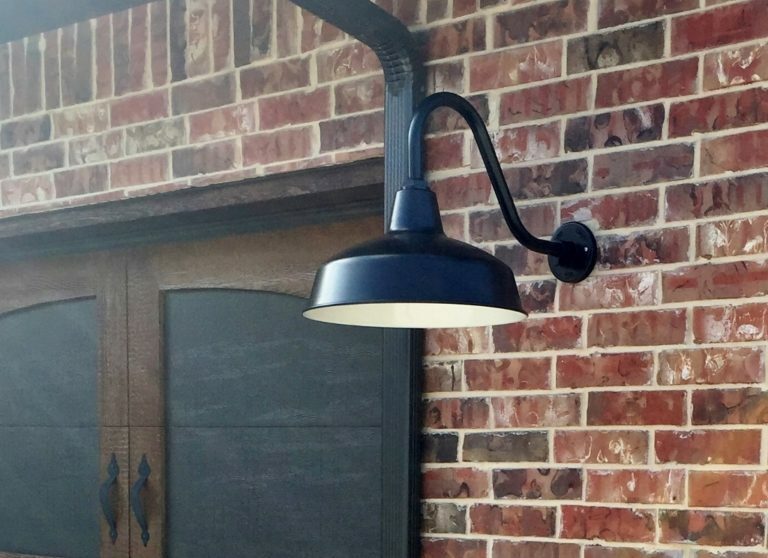 This customer chose the Skylark Shallow Bowl Gooseneck Light and customized her American-made light with a 14″ shade, a Black finish, and G11 gooseneck arm. 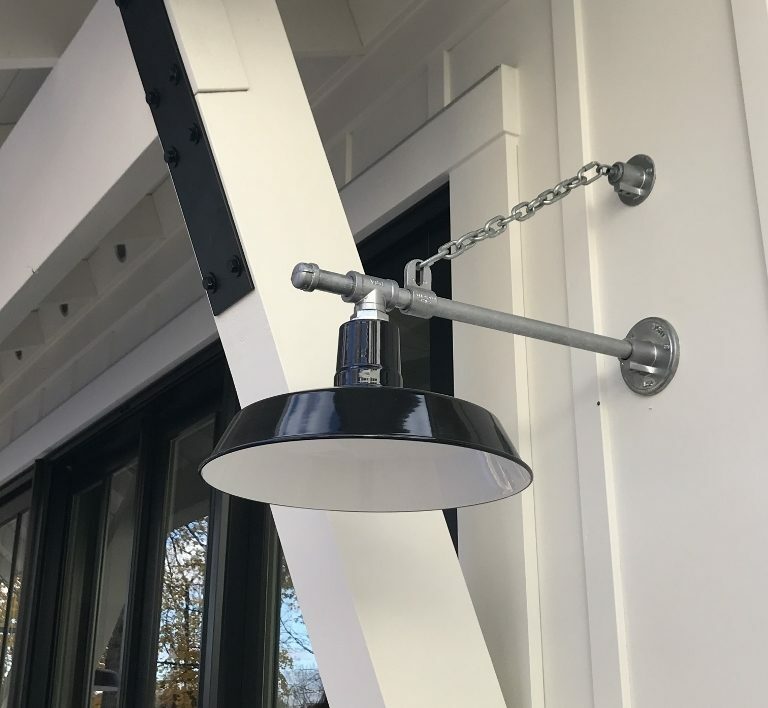 For larger fixtures, we offer heavy-duty gooseneck arms, such as the G64 style above, which stand up to wind, rain, and whatever else Mother Nature dishes out. Our gooseneck arms are crafted right here in our Florida manufacturing facility alongside our hand-spun light shades. 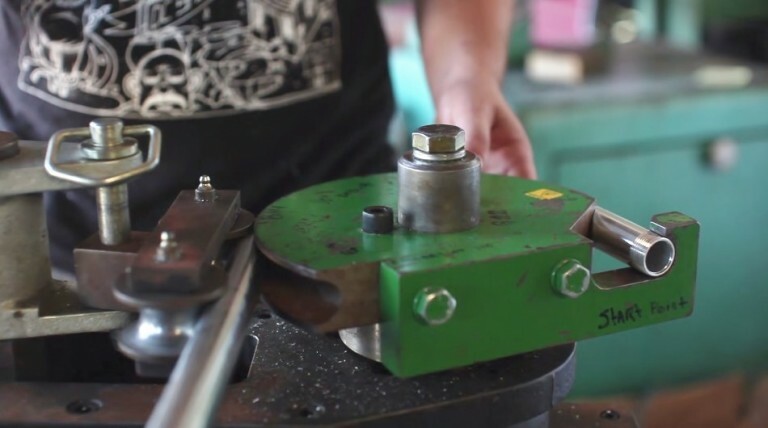 Which means if you can’t find a suitable gooseneck arm amongst our current offerings, just talk to our helpful sales staff and they’ll help design a custom arm just for you! You can contact our sales team at 800-407-8784, via email at sales@barnlight.com, or on Live Chat from our home page Monday through Friday during regular business hours.